Last month, we wrote about the critical move Congress made to extend the 30% Federal Income Tax Credit (ITC) on the purchase of solar renewable systems, and the positive impact that legislation will have on the solar industry and its potential customers. While the Federal ITC extension is a positive step forward on a national level, the Massachusetts legislature also has an opportunity to provide a meaningful boost to our clean energy future by passing the “net metering” bill, another piece of smart solar-friendly legislation that would allow ratepayers to sell the excess energy they produce back into the region’s electric grid. In Massachusetts, regulations cap the amount of energy that can be sold back to the grid using the net metering incentive. For instance, in several communities, net metering caps have already been hit; meaning new solar customers are blocked from investing in solar because they are unable to sell the excess electricity generated from their system back into the grid. For businesses, high energy costs are one of the biggest obstacles to growth and are unfortunately a reason many companies choose to leave the state. Net metering is one tool for a more predictable economic environment for solar customers, which makes them more inclined to invest in this clean technology and keep their business in the state. Common sense says the caps should be lifted to keep the solar momentum going, and both houses of the state legislature have passed bills in support of this. Unfortunately, the differences between the two pieces of legislation are still being ironed out in conference committee, leaving the solar industry and hundreds of businesses, municipalities, non-profit institutions, and property owners who want to invest in solar energy, in limbo. • Lifting the net metering cap to achieve the state’s goal of installing 1600 megawatts (MW) of solar by 2020. -Virtual net metering: These customers, who share solar power from another source that exists outside their premises but connected to the grid, should be accountable for some sort of fee as they rely on and benefit from the grid’s infrastructure. • Recognizing the opportunity to serve municipalities, affordable housing and community solar customers with an approach for equitable net metering policies that address the utility concerns while enabling the solar benefits to this significant customer base. These are just a few examples of how solar policy could be addressed apart from other energy legislation. Without net metering, customers are not fairly compensated for their investment, the solar industry will see a shrinking job base as consumers pull back from investing, and solar providers and businesses alike will lose business opportunities. Massachusetts is the second largest solar employer in the nation with 300+ solar companies at work throughout the value chain in Massachusetts, employing roughly 15,000 people. These numbers underscore the significant impact that solar has had on economic development throughout the state, but every day that we fail to raise the net metering cap, the Commonwealth loses millions in project investment and more importantly local jobs. Massachusetts is at a tipping point when it comes to solar energy. If we fail to expand the net-metering cap, solar projects across the state will be jeopardized, jobs will be lost, and consumers will have fewer energy options. By embracing and expanding the state’s net metering policy this month, we can provide critical stable and predictable economic models for the industry and for consumers. And in doing so, we can once again make it clear to the nation that the clean energy future starts here, in Massachusetts. 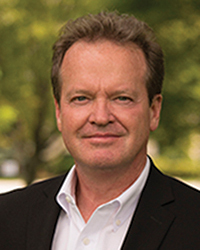 Ken Driscoll is founding principal and CEO of Solect Energy, Hopkinton, Mass.